Library Printer software for Windows. 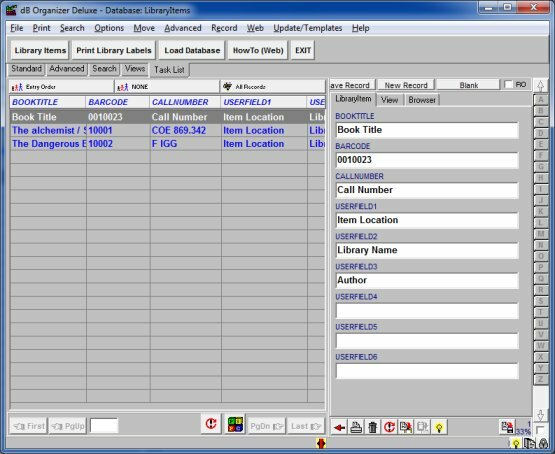 Enter, import library item information and print quickly bar code or spine labels. Easy to use database. Works with the most popular label format. Print multiple copies of the same label. Start printing from any label on the sheet. Label preview function. Predefined label. Publisher: PrimaSoft PC. a powerful, efficient and easy-to-use barcode label design software. Barcode maker software customize your barcode labels and facilitate users to change text, font or page settings according to their needs. Windows OS supported barcode labeling tool generates the barcode sticker, asset tags, labels, ribbons etc. My Barcode Software creates Code 39 barcodes and save them as Portable Network Graphics (PNG) image files.